How to Get to PI! Latest news on PI: Browse our news archive. PI offers interesting positions for graduates, young and experienced professionals. You can expect a good working environment as well as personal and professional advancement! PI offers interesting activities to also give students insights into a professional career. You can gain practical experience during your studies. Skilled employees are a crucial asset – which explains why we have been training specialists in technical and commercial professions for many years now. At two locations in Germany, PI offers apprenticeship positions as well as a dual study program for applicants who have acquired a secondary school leaving certificate or a qualification for entrance to a technical college or to university. Get more information about PI's social services and the application process! Log into your account to get information on the status of your application. Air bearing positioning stages have proven themselves in a large number of applications, for instance, in metrology, when aligning optical fibers, in semiconductor manufacturing and wafer inspection, in precision scanning applications or positioning tasks in cleanrooms. The air bearings have a number of advantages compared to mechanical bearings. They operate without friction, there is no abrasion, the speed of vibration-free motion can be controlled exactly and repeatability is possible in the nanometer range. PI (Physik Instrumente) now offers modular high-performance motion controllers suitable for four, six or eight axes for the PIglide air bearing positioning stages, which work with linear or rotary servo motors with direct drive and high-resolution encoders. The multi-axis controllers are based on hardware from ACS, an international manufacturer of modern multi-axis motion controllers, who has been a part of the PI Group since 2017. 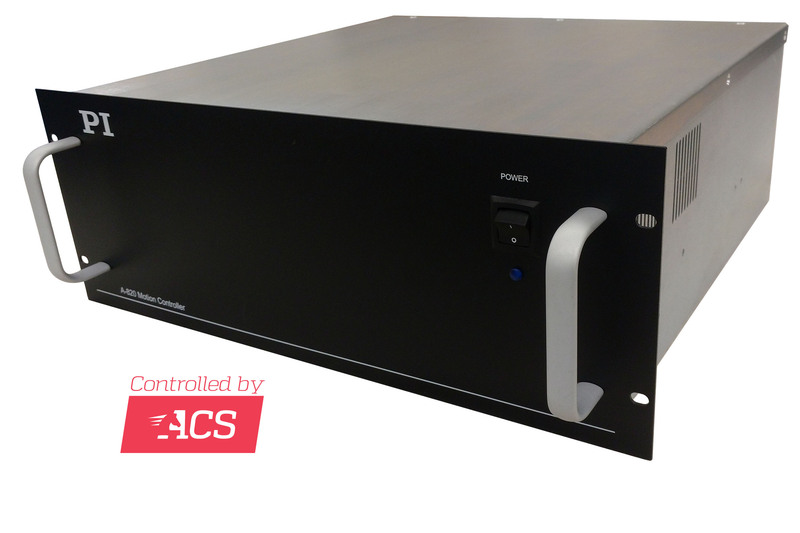 The controllers therefore support the ACS ServoBoost algorithm that allows extremely stable servo-control that is insensitive to noise or changes in the system. 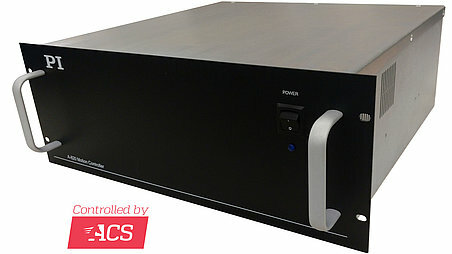 The A-82x motion controller series integrates controllers, drivers, and power adapters in a compact 4-RU, 19-inch rack, but can also be offered as customized setups for OEM customers. Depending on the number of axes to be controlled, they supply a continuous power of 1,100 to 2,000 W, at up to 3,900 W peak power. The standard options include individually configurable inputs for incremental sine/cosine and absolute encoders (interpolation factor of 16,384) that use the BiSS-C data protocol. Motion programs and parameters can be stored in the internal flash memory. Because of this, it is not only possible to operate the controllers via an external PC, but also in stand-alone mode. Therefore, only a PC is necessary for programming and starting. The necessary software is in the scope of delivery.